On April 29, 2008 House of Representative’s Committee on the Judiciary Chairman John Conyers (D-MI) sent a 17-page letter to the Drug Enforcement Administration’s Acting Administrator Michele Leonhart with pointed questions, a listing of over 60 medical marijuana dispensaries or patient cooperatives that have been raided by the DEA and federal law enforcement between June 2005 to November 2007 and numerous citations from local municipalities that are on the record of supporting patient access to cannabis and oppose federal intervention. 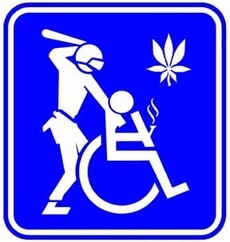 Read the entire letter and list of raided medical marijuana dispensaries and cooperatives here. Let’s hope the DEA’s answers are as illuminating as the questions being asked by Chairman Conyers. Cheers to Rep. Conyers for helping to bring the issue of state’s rights vs DEA enforcement into the public eye. Let’s hope more representatives start asking these types of questions. If we could only get 1 representative from all 50 states to start questioning the DEA, maybe we could start to see some change! Rep. Conyers exhibits courage and common sense in asking these questions of the DEA. We need to demand our government make decisions based on science, not hyperbole and lies. DEA should not make policy, and should not have any hand in deciding policy – it is a clear conflict of interest that does not serve the American people. They’ve had too many years of uncontested authority – it’s time to bring DEA in line with the will of the people, not just the will of those who benefit from the deep pockets of this abortive “War on Drugs”. Im dying to see what answers are given. On the other side of the coin I’ve seen “them” firing back by putting out articles on US News’ web site about marijuana and teen suicide, plus I’ve heard them on the conservative talk radio shows as of lately spewing their propaganda and lies to further confuse and keep ignorant their audience. I’ve emailed them the above article to see if they would discuss it, but not surprisingly they have totally ignored it. I’m doing everything i can to make this piece of news more public.